“Not so good, but not so bad either” reads the emboldened subtitle appearing nearly midway through Yusuf Carrim’s “Reshaping South Africa’s ICT Policies for the 21st Century” speech. 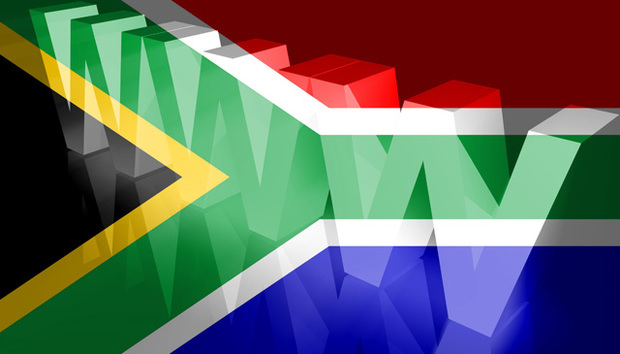 In it, the South African Communications minister addresses the country’s ICT development setting with enough precision to allay some fears of complacency within the sector, particularly as they relate to the implementation of government policy. Delivered in March (2014), the National Integrated ICT Policy green paper both acknowledges and offers logical solutions in dealing with the challenges facing South Africa’s ICT space. It cites the need for strong private-public sector partnerships as one of the key requirements towards the fulfilment of the sector’s role in the National Development Plan (NDP): Vision 2030 and towards getting on par with other developing nations. To no lesser degree; lack of advanced ICT infrastructure, high mobile and fixed retail prices, low-quality and slow-speed bandwidth, a shortage of internet access for millions of citizens as well as ineffectual regulatory policies which have largely contributed to delayed digital migration; have collectively played a role in curbing the amount of growth that’s come to be expected of Africa’s most developed nation. When it comes to internet access for example, the figures are disappointing. The table below indicates South Africa’s position as far as internet accessibility when compared to other African nations. Further broken down in a recent Research ICT Africa report, the above figures illustrate that in South Africa only 20% of households have internet access, with 56% accessing it via mobile devices. Individual stats indicate that 71% of South African internet users also access the internet using mobile phone handsets. Asked what is being done to counter such challenges, Morwane says: “The policy and its associated strategy and plan have been collectively dubbed ‘South Africa Connect’ and outline a number of activities to improve broadband in SA. In particular, the overall vision of the policy is to give every South African access to a broadband connection at a cost of 2.5% or less of the average monthly income. A broader look at the state of ICT across Africa reveals that a lot of the problems South Africa faces are not unique. However, as one of the continent’s leading economies, more is expected. In recent years, the country has met a significant number of these expectations through a proliferation of tech innovations across South African cities. We took a look at those related to connectivity and startup incubation. Regarded as Africa’s economic hub, Johannesburg in the Gauteng province is fast catching up with to cities like Tshwane which have set the ball rolling on free access tech. Innovation in the city includes the much anticipated Tshimologong Precinct, a software skills and innovation hub in Braamfontein said to be nearing completion. The precinct will be one of the largest in the continent. Free Wi-fi has thus far only been available in a few areas within Johannesburg central but this is set to increase up to 1000 hotspots in 2016. The city’s plan is to make the entire city a free Wi-fi zone in the near future. Additionally, the rollout of fiber optic cables, bio gas and bio fuel are also part of its plans to become a ‘smart city’ within the next 10 years. The Western Cape province has been at the center of various remarkable tech advances. 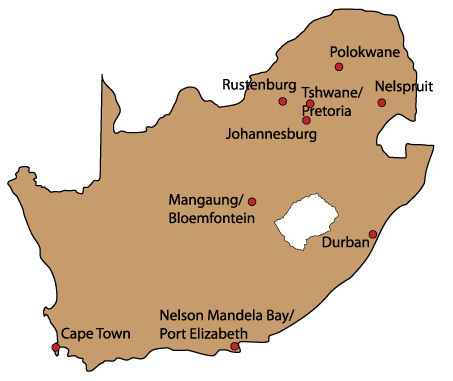 2009 saw the establishment of an ecosystem of ICT professionals, startups and investors called the Silicon Cape Initiative which currently has over 8,000 individual members. MXit, Yola and the Bandwidth Barn are some of the companies out of the Western Cape that now enjoy global recognition in the ICT sphere. Cape Town’s Wi-Fi plans, however, have been slow to manifest. Notably, it launched free Wi-fi in train stations in June with further plans to make it accessible from within train carriages and in other public spaces. The coastal city of Durban in Kwazulu Natal is home to Africa’s busiest harbor. It is also the only South African city with teleradiology technology – a high-tech innovation that has opened up doors to the rural population to receive specialized medical care timeously. Patients’ radiological images are sent via ADSL or ISDN networks, avoiding the need for medical practitioners to wait until a patient’s arrival to have scans conducted. Durban’s free Wi-fi could, however, use some improvements. Although the city was one of the first to launch free wireless internet at its municipal libraries, Wi-fi access is still only available in a small area in the city surroundings. « Tommy Flowers: The Forgotten Father of Computing?